My dear friend Diane contacted me early this year with a request: “One wedding cake, please, with personal delivery!’ As I was unable to attend her birthday party last year, I had to send up her 50th birthday cake on a bus to Mackay. There would be nothing stopping me from delivering the cake in person this time, though! I marked the date in my calendar and counted down the weeks until Diane & Don’s wedding day arrived. If there are three things that I know about Diane, they are as follows: she loves butterflies, LOVES the colour purple, and is quite a romantic at heart. We designed her wedding cake to incorporate each of these three things, along with diamantes and Singapore orchids to match her bouquet. 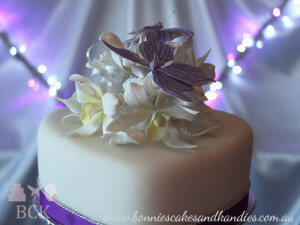 Purple butterflies, white Singapore orchids, rosebuds and leaves | Bonnie’s Cakes & Kandies, Gympie. 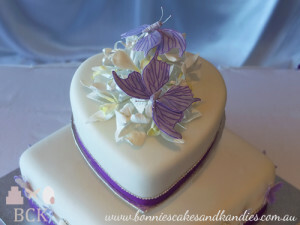 The heart shaped top tier was angled with the point almost touching the square shaped bottom tier, and the back of the heart raised | Bonnie’s Cakes & Kandies, Gympie. Made in traditional fruit cake, Diane requested the bottom tier to be a square shape, with the top tier a heart shape. I suggested that the heart be angled on a stand with the point almost touching the bottom tier, to make it just that little bit different. 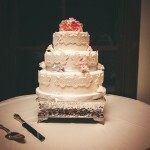 The cake table! Photo by Diane’s son-in-law. Cake by: Bonnie’s Cakes & Kandies. 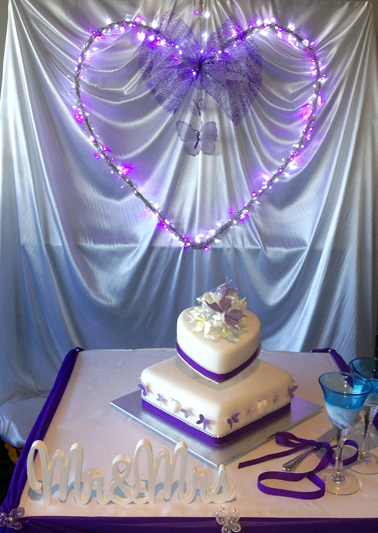 Thanks to Diane’s son-in-law for taking the photograph above of the cake table. 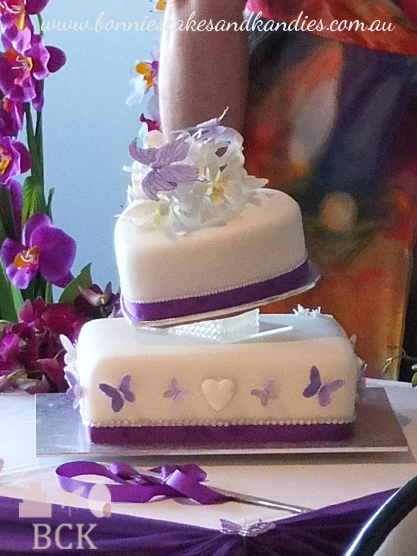 See, I told you –butterflies, purple, and a big, romantic love heart! 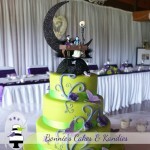 Side view of the wedding cake | Bonnie’s Cakes & Kandies, Gympie. 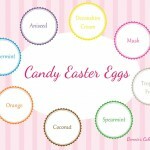 The happy couple thanked their guests with my handmade candy hearts as bonbonniere in purple, green and white colours. To add a personal touch, Don & Diane’s names were written on each heart. 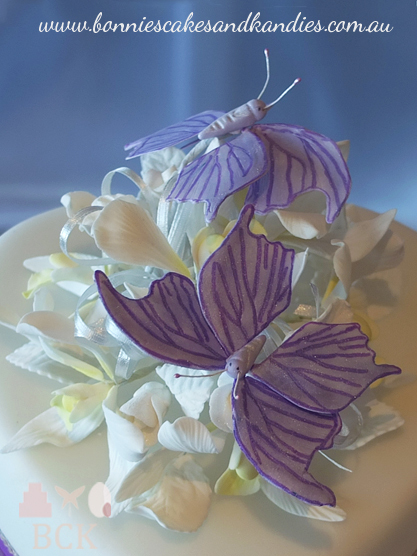 Two large purple butterflies resting on a posy of icing flowers | Bonnie’s Cakes & Kandies, Gympie. The wedding was absolutely beautiful and it was such an honour to not only make the cake, but to share in their special day. Congratulations Diane & Don – my most heartfelt wishes to you both for your future together.